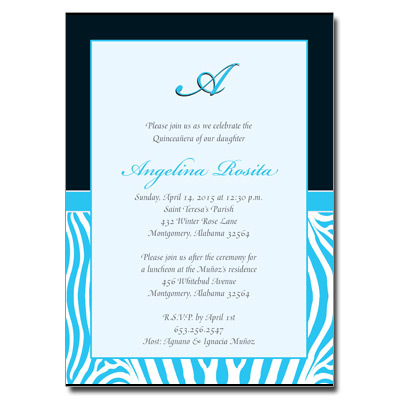 Teal zebra stripes against a black back drop make this stylish Quinceanera invitation stand out! Customize the design with your child's initial and name in teal; party details are printed in gray. Card measures 5x7.